Vote for Your Favorite Argentine Recipe 2012! Friends, the 2012 Seashells and Sunflowers Argentine Recipe Contest has drawn to a close. Thank you to everyone who participated by voting, commenting, and spreading the word about the recipes and the contest. And of course, a huge thanks goes out to our participants, Daniel, Vivi, Ana and Norma, whose delicious recipes were all worthy of first place in my book. So, without further ado, I'd like to extend my congratulations to the contest winner, Norma Torres of Platanos, Mangoes and Me! 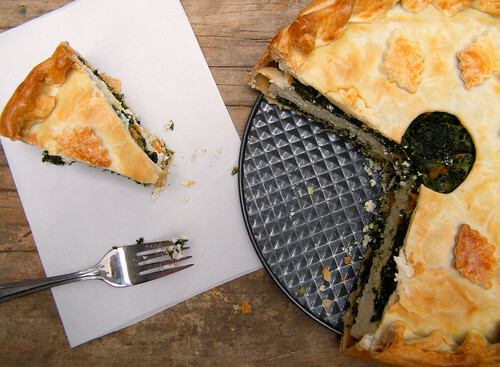 Her recipe for tarta pascualina (spinach pie) captured the top spot with 37% of the vote [complete results here]. Norma will receive her choice of a special food prize from Argentina. I happen to know that she has a soft spot for Mantecol… ¡Felicitaciones, Norma! We're nearing the end of the 2012 Seashells and Sunflowers Argentine Recipe Contest. We've seen all four finalists' entries, and now it's up to you, the fine readers of this blog, to vote for your favorite recipe! The winner will earn bragging rights and a delicious food prize from Argentina. Voting takes just a moment, and there's no sign-up required! Which Argentine recipe is your favorite? Voting ends on Monday, September 10, 2012 at noon (Argentina time). Good luck, Daniel, Vivi, Ana and Norma!